Dubbed as the “East Coast Coachella” this will be only the second year the festival will be around, but with the amount of attention the festival grabbed last year, it’s looking to be one of the better music festivals to check out this summer. With a large range of music, there are bands and artists to check out of any genre. 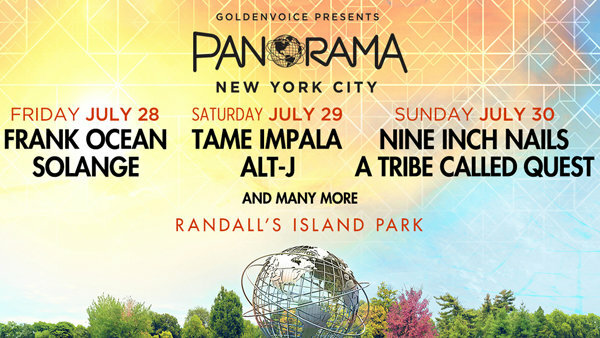 Whether you’re a New York City native, or looking to travel from all ends of the planet, Panorama music festival has everything you could ever want in a festival. Love camping and a fan of music? Then Firefly is the music festival for you! Going on now for the fifth year, this years iteration boasts one of the strongest lineups in the history of the festival. Also one of the festivals with a varying degree of music, it’s great for people looking to have a great time. One of the oldest festivals out there and considered one of the greatest, there’s a reason that the festival has been going strong for all these years. Now celebrating it’s fifteenth year out, it boasts one of the best lineups seen throughout the festival circuit. On top of great musical acts to check out, there are alternative events to check out throughout the festival like movie screenings, parades and water activities. If there’s only one festival that you can check out this summer, Bonnaroo looks like the one to see.